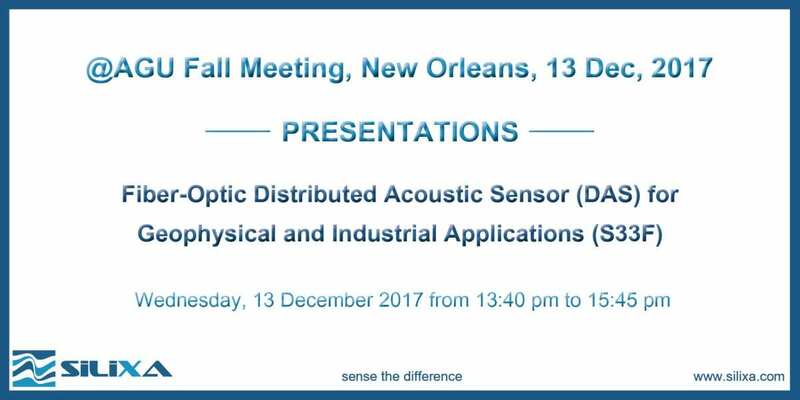 December 2017 | Silixa Ltd.
Join the Fiber-Optic Distributed Acoustic Sensor (DAS) for Geophysical and Industrial Applications session to learn about the use of DAS for novel geophysical or industrial applications at AGU in New Orleans, Louisiana on 13 December 2017. Distributed acoustic sensing provides a flexible and large sensing aperture for acquiring high resolution acoustic data in time and space. The use of DAS in the industry for flow profiling, high resolution borehole/surface seismic imaging, micro-seismic monitoring for fractures has been accelerated with the improvements in the sensitivity, the advances in real-time big data processing and flexible deployment of fibre optic sensing cables. There is a growing interest in the use of DAS for critical geophysical infrastructure applications such as earthquake and near-surface passive seismic analysis including the development of tailored or new numerical techniques. Silixa’s oral presentation is titled High Definition Seismic and Microseismic Data Acquisition Using Distributed and Engineered Fiber Optic Acoustic Sensors, and will be presented on 13 December 2017 at 15:12 pm. Over the past few years Silixa has successfully used DAS to record microseismic events during hydraulic fracturing and re-fracking operations. Detection has been successful in a number of configurations, where the fibre has been in a horizontal treatment well, horizontal well adjacent to the treatment, or vertical observation well. We will discuss the sensitivity of the measurement, range of measurement, ability to localise the events and characteristics of the microseismic event. In addition to discussing the theory we will also present case studies showing the detection and localisation and how these compare to conventional microseismic detection techniques. For the full list of oral presentations please click here. For the full list of poster presentations please click here. 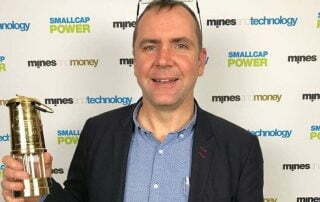 Anglo American (LSE:AAL) has been awarded the prize for best use of smart technologies in sustainability at the 2017 edition of Mines and Technology. 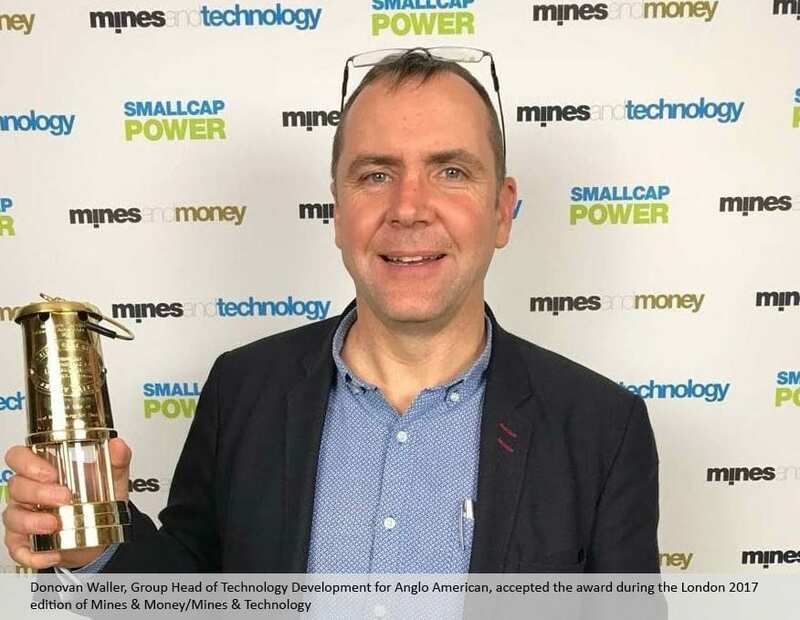 The prize, which was accepted for Anglo American by Donovan Waller (Group Head of Technology Development), was presented last week at a Gala dinner in London. This award was presented in recognition of the company’s innovative efforts to deploy and integrate Silixa’s non-intrusive optical process metering flow measurement technology at Mogalakwena Platinum Mine. Mogalakwena Platinum Mine is located in a water stressed region with complex water management requirements. Working with Silixa, Anglo American’s FutureSmart MiningTM program installed the world’s first permanent, non-intrusive, multi-zone, flow metering system based on distributed acoustic sensing technology. Covering over 16km, the circuit requires no power, has no expensive sensing parts, requires no alteration of the pipeline and hence no interruption to flow. The system delivers robust flow measurements for automatic incorporation into water balance calculations. Borne from the Pervasive Sensing project theme arising from the 2015 FutureSmart MiningTM Open Forum on water, the technology is now being expanded into the process realm where the value addition is likely to be significant. “This honour represents an important validation of the hard work of our extraordinary team at Silixa. Our corporate vision is to apply our distributed fibre optic sensing technology in creative ways to develop applications that help deal with the world’s greatest industrial challenges, whether that is safely optimising production, or providing effective flow metering. Our ultimate goal is to change how distributed sensing is used in industry,“ said Glynn Williams, Silixa’s CEO. Mines and Technology’s Outstanding Achievement Awards and Gala Dinner attracted hundreds of senior representatives from all tiers of mining companies, investment institutions, government delegations as well as a range of technology providers. The night was an opportunity to honour the companies and individuals who exhibited outstanding achievement in 5 distinct technology achievement categories. Silixa Ltd, based in London UK and the US, was established in 2007 and is supported by investors Lime Rock Partners, Chevron Technology Ventures and Statoil Technology Invest. Silixa is transforming how distributed sensing is used in the energy sector by applying the power of the world’s highest performing distributed acoustic (iDAS™ and Carina® Sensing System) and temperature sensing (ULTIMA™ DTS, XT-DTS) technologies. Silixa delivers distributed fibre optic monitoring solutions on both new and existing fibre cable installations with the highest levels of accuracy in the industry to improve performance, reduce operational costs and extend the lifespan of any asset.